There is a very famous saying ‘The only thing that is CONSTANT in life is CHANGE’. What this means is that changes happen from time to time and it is always wise to adapt to these changes. For example, in the 90’s, owning a four-wheeler was a dream for many households since it was considered as a luxury and not many banks were offering ‘vehicle loans’ to the working-class Indians. There is a constant debate on rent-versus-buy and American billionaire J Paul Getty had a fairly simple solution to it - If it appreciates, buy it. If it depreciates, ease it. 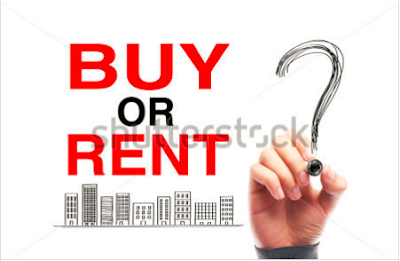 Buyers or consumers need to make a conscious decision on whether it makes economic sense to ‘own something’ or ‘rent out something’ since every purchase comes with a price-tag and its value either appreciates/depreciates. For example, in case you plan to buy flat in an apartment, along with the home loan, you also need to take into account expenses of interior design, electronic appliances, and other basic necessities. This point also holds good for any purchase that you are planning to make. Many citizens also relocate to other cities for personal as well as professional reasons. In these cases, renting out a bike, renting out a car, renting out a flat, even renting out furniture makes economical sense. The other advantage of renting out such items is that you get variety without burning a huge hole in your pocket and you are not depleting your savings. Plus, you also have to shell out money for maintenance and insurance costs. In a nutshell, any purchase comes with a baggage load of ‘variable expenditures’, either planned or unplanned. Due to these reasons; many urban Indians are shifting to a #SubscriptionLifestyle as reselling any of these items yields negligible returns with each passing day and ‘fashion & technology’ trends change at a breath-neck speed. Companies are now leveraging technology so that changing Indian consumers can rent bikes/rent cars/rent house/rent furniture, etc. at the push of a button. RentoMojo, a Bengaluru based company, enables everyone to smartly own quality furniture, appliances and vehicles at an affordable cost. It is a trusted platform that is used by millions of consumers since they get a wide range of items like furniture, bikes, home décor, electronic appliances, cars or any other item that you can think of while ‘setting up your dream home’. With RentoMojo, you can use their products and pay the rent later. They have a very experienced team that believes in ‘customer delight’. They have excellent packages with features such as Swap Products, Annual Cleaning, Extend/Opt-Out, Free Relocation, Damage Waiver, Ownership Transfer, etc. that suits the needs of the millennial Indians. They have fair & transparent pricing policy, where consumers pay less when the products are used more. Whether it is about the implementation of laws like RERA or announcement of central government initiatives like Demonetization, etc., RentoMojo customers can leave those worries behind. To summarize, the on-going debate between ‘rent v/s buy’ is endless, but with changing times, there is rapid adoption of subscription lifestyle since it gives the flexibility to #SmartlyOwn items that make your ‘House’, a ‘Home’.